Horse owners always have lots to do. There are horses to be fed, mares to be bred, colts to be worked, and (always!) stalls to be cleaned. These types of chores tend to be their own reminders. Now, here's your reminder to do the other important chores, ones that can protect you, your family, your home, your business and your horses! Individual horse owners, here's some food for thought. Can You Afford to Replace Your Horse? Your special horse is irreplaceable. At least, emotionally speaking. But, if you were to lose your top show horse, herd sire or other valuable horse, could you afford to go out and buy a horse to "replace" him? No? Then consider equine mortality insurance and equine loss of use insurance. Can You Afford a Huge Vet Bill? What if your favorite horse needs a $10,000 surgery? Could you afford it, or would you have to euthanize him? Without equine major medical insurance, you might have to answer that question. Do You Board Your Horse? Yes? Did you sign a boarding contract with the stable owner? Yes? Did you get a copy? Yes? Now's the time to actually read it so that you know what it says before you need it. No? Now's the time to ask for a copy so you know what you signed. Will your homeowners' insurance cover you if your boarded horse injures someone? Are you sure? Check with your homeowners' insurance agent. Not covered or not sure? Think about joining the United States Equestrian Federation - for well under $100, your membership includes a free equine liability insurance policy! Are You Leasing Your Horse? If you're leasing your horse, you need to protect yourself (and your horse!) with a good lease contract, one you know will hold up in court if you need to enforce it. Freebies you found on the Internet and contracts you drafted yourself don't count - here's why. 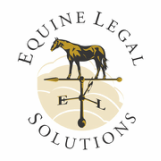 Think your homeowners' insurance will cover you if your horse injures the person leasing him? Think again - unless the lessee isn't paying you for anything, the lease situation will be considered "commercial" and therefore not covered by your homeowners' policy. Check with your homeowners' insurance agent to be sure. Not covered? Think about joining the United States Equestrian Federation - for well under $100, your membership includes a free equine liability insurance policy! Do You Keep Valuable Tack in Your Horse Trailer? Yes? Guess what - horse trailer insurance policies usually don't cover the contents. Some bozo steals your trailer, and your show saddle is in the tack room. If you've insured your horse trailer, that's probably covered, but your show saddle probably isn't. Pfft - gone! Check with your insurance agent now before the unthinkable happens! Is Your Property Safe for Visitors? Even for social guests, you have a legal obligation to fix dangerous conditions you know about, or warn visitors so they don't hurt themselves. Now's the time to fill in holes, mend fences, put up warning signs and fix drainage issues that cause slippery footing. Have Your Horses Ever Been Known to Bite or Kick? If so, they might end up being four-legged liabilities. In addition to obtaining the proper liability insurance, warn visitors of your horses' habits, and put up warning signs on stall doors or pasture fences, especially if your horses are boarded or your fences adjoin any area with a lot of foot traffic. Contrary to popular opinion, warning signs don't create liability by announcing that you're aware of a dangerous condition - rather, they help prevent liability by serving as a warning to unsuspecting people who might otherwise enter your horses' enclosure (such as stall cleaners at a boarding barn). Do Your Horses Ever Get Loose? Unless you live in an officially designated "open range" area, you have a duty to contain your animals on your property, and if your animals get loose and cause damage, you can be held liable. For example, if you forget to latch the pasture gate, your horses get out on the road, and a passing motorist hits and kills your horse, you will probably be liable to the motorist for his/her injuries and damage to his/her vehicle (along with any property damage at the accident scene). The motorist most likely won't be liable to you for killing your horse because it was your negligence that allowed the horse to be out on the road in the first place. Now is the time to check your homeowners' insurance to make sure you will be covered if your horses get loose and cause damage (and if not, get appropriate liability coverage). Also, now is the time to check your fences and put safety measures in place to prevent the horses from escaping your property even if someone happens to forget to latch a gate or a stall door.